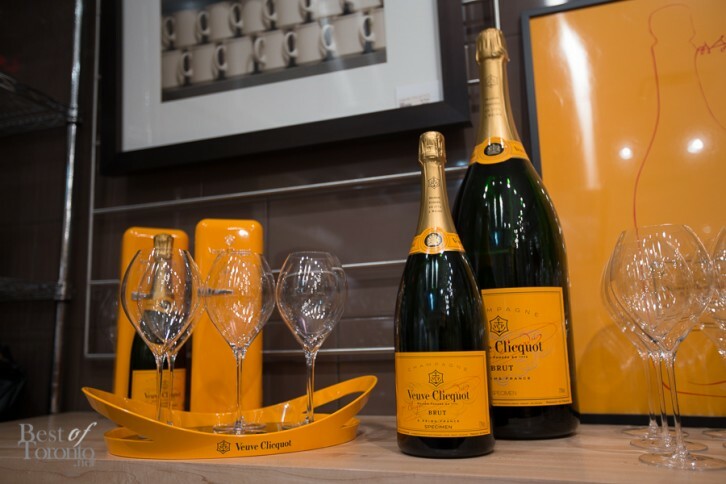 Coveted champagne brand, Veuve Clicquot, has launched “YELLOWEEK” across Canada. 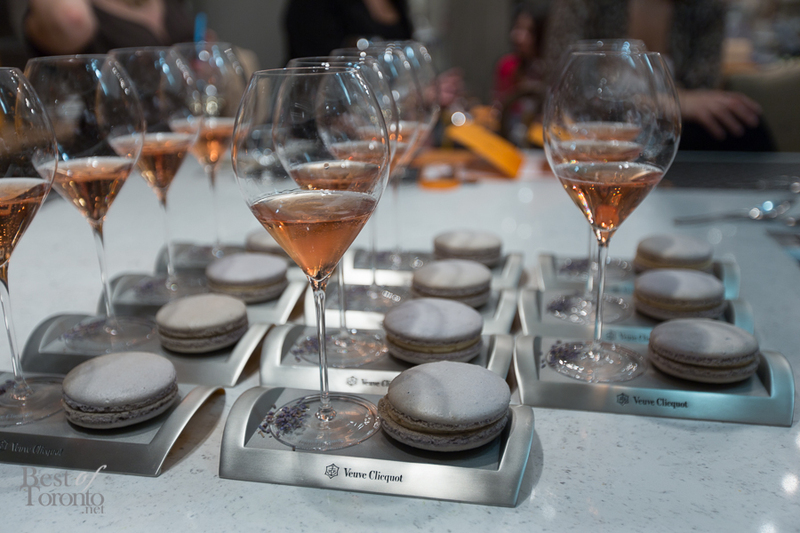 It’s a week-long tribute to creativity showcasing some of the best of gastronomy, arts, fashion and lifestyle inspired by Veuve Clicquot founder, Madame Clicquot who pushed boundaries in the 1800s as a female entrepreneur. 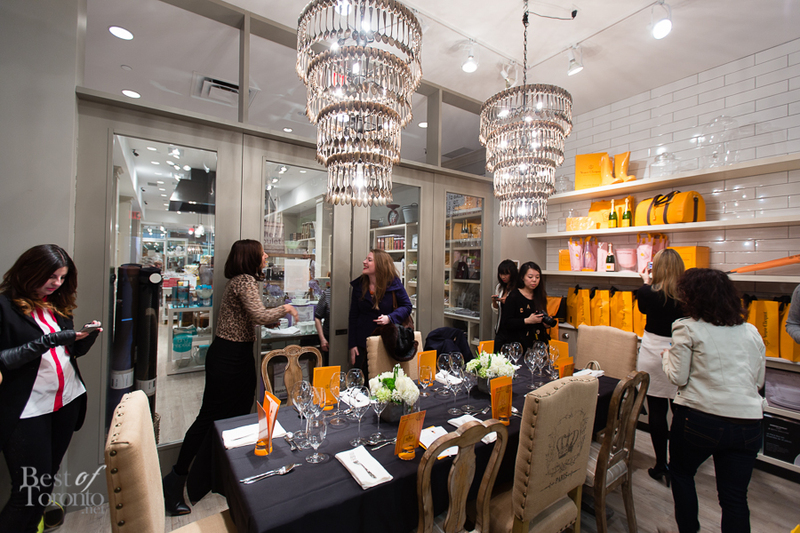 Veuve Clicquot’s “YELLOWEEK” this year follows in the success of the inaugural 2013 YELLOWEEK in Montreal. It will be taking over Toronto this coming week from May 5th to May 11th, 2014. It already took place in Montreal last week with Calgary, Edmonton and Vancouver to follow. 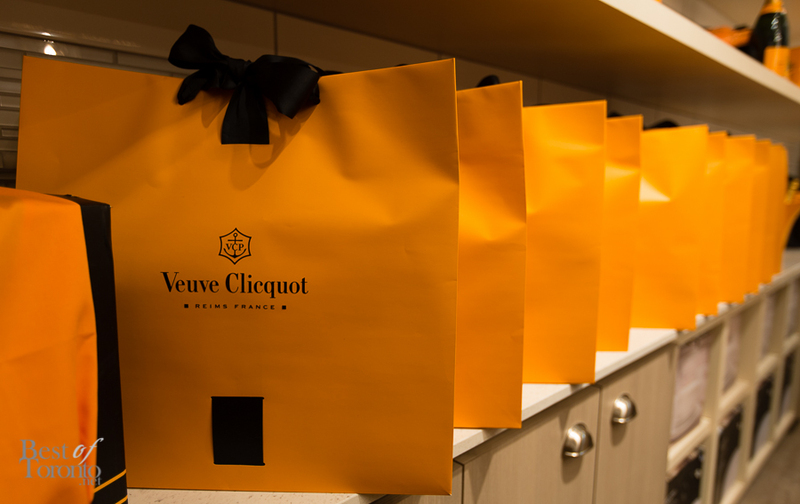 I was lucky to be invited to the intimate preview of Yelloweek entitled “Yellow CUCINA”, an exclusive tasting of 4 varieties of Veuve Clicquot paired with delicious bites by Chef Romain Avril of La Societe. It was an incredible experience in the back of the retail store of Teatro Verde at Bayview Village. 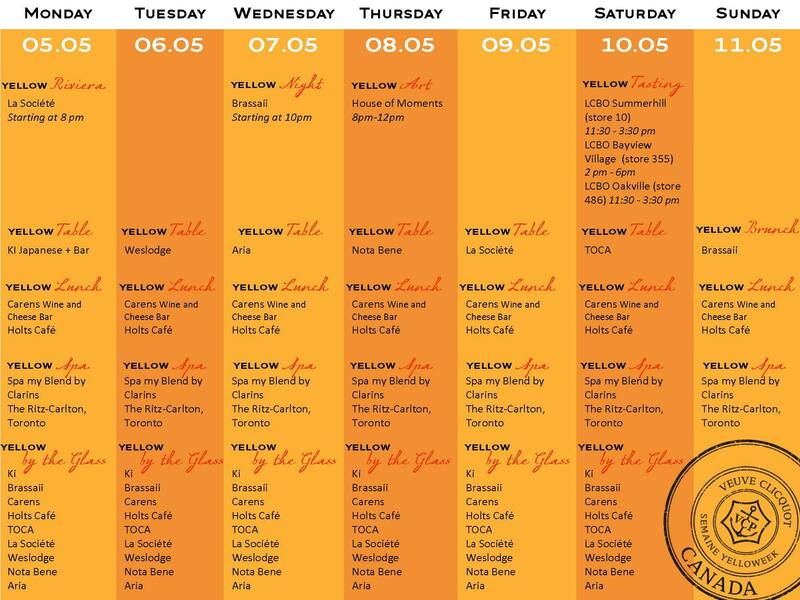 Be sure to visit La Societe on Monday, May 5th at 8pm to kick off Yelloweek while enjoying some of La Societe’s creations. 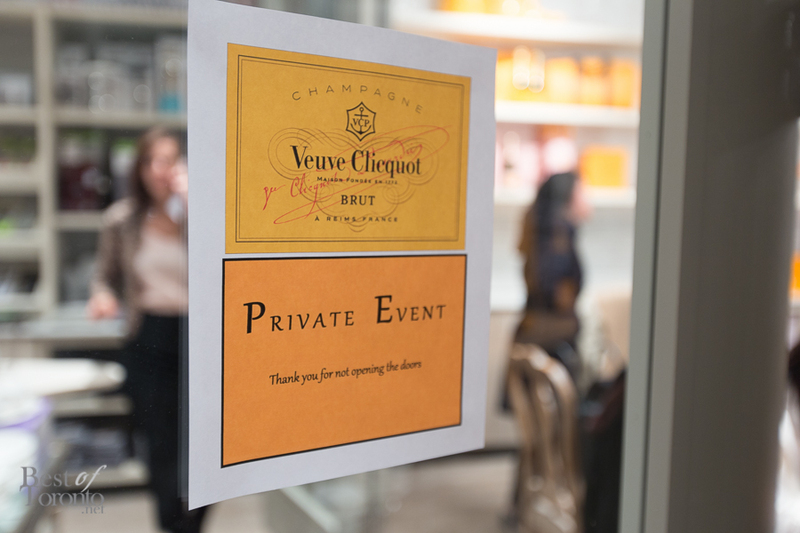 In the week, there will be events spanning several categories: Yellow FASHION, Yellow TABLE, Yellow BRUNCH, Yellow ART, Yellow NIGHT, Yellow By The GLASS, Yellow CONTEST and Yellow SPA. 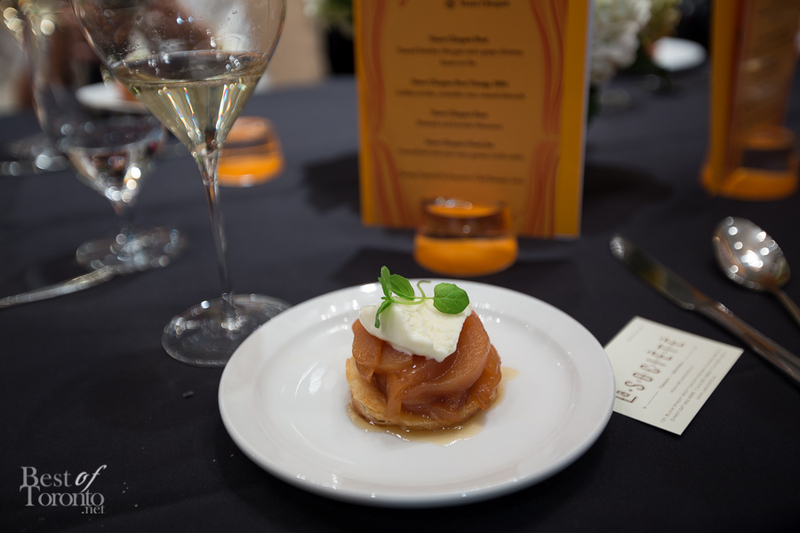 Toasted brioche, foie gras, and a grape chutney – the grapes were meticulously hand-peeled for the chutney. Paired with Veuve Clicquot Brut.